2) Exclusive Edge Wire& Foam Encased Technology for Better Support and Sleeping Surface. 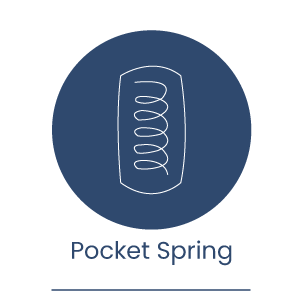 Pocket spring mattresses contain pre-stressed springs inserted into individual fleece or cotton pockets and then clipped among one another or glued on top, middle or bottom. It is the point-by-point elasticity that distinguishes itself from others. 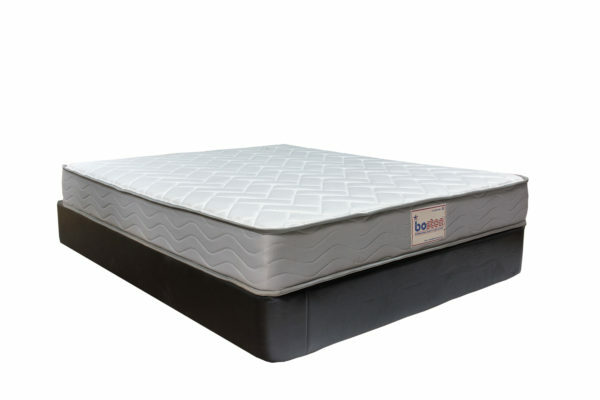 The greater number of springs allows more flexibility so that the mattress can better mould to the body shape. 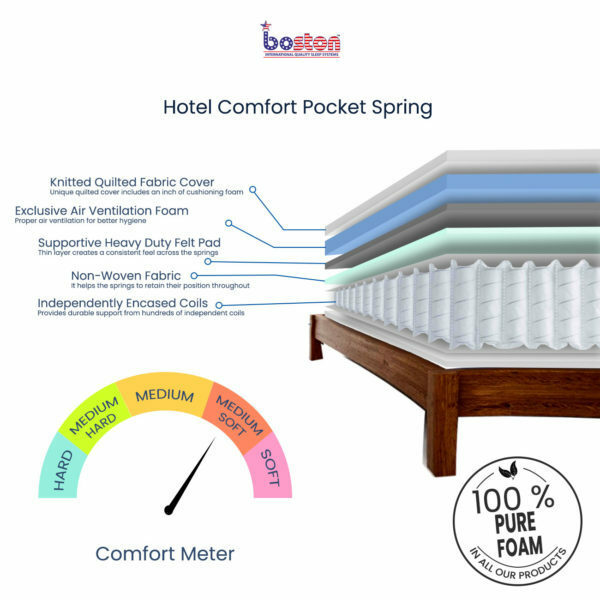 Spring Mattresses have a leading edge over other types of mattresses because it provides better support and comfort to your body, an innovation that changed the mindset of the bedding industry which is globally used in the hospitality industry world over. 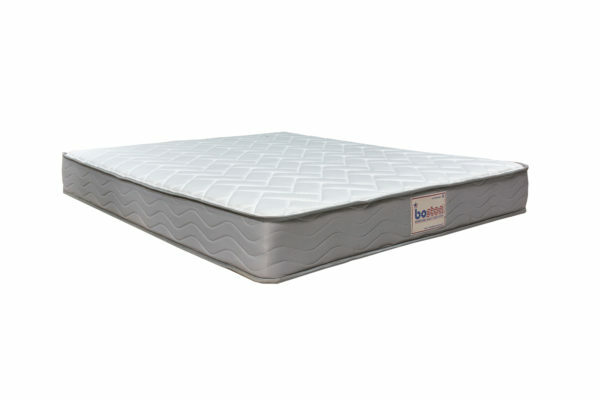 Support is an important characteristic, which positions the body correctly for a restful sleep. 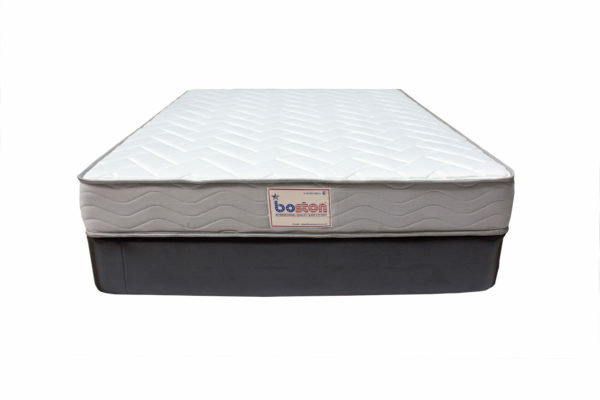 The mattress should support body weight evenly over the surface of mattress such that the hip and shoulder area should be accommodated without sagging of the back. 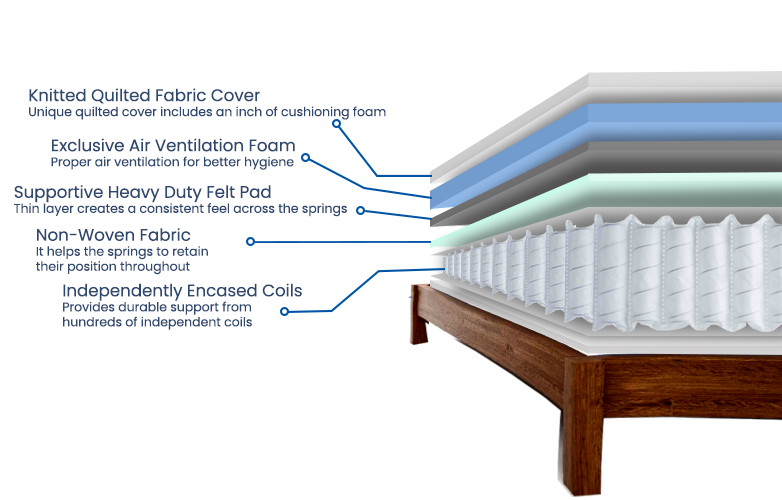 To ensure proper back support and quality sleep our mattress is made up of a minimum of 15 layers. 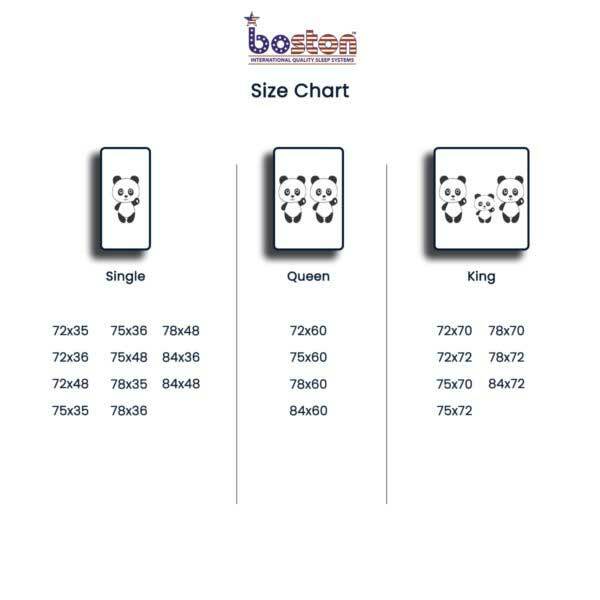 Therefore when you buy a Boston Mattress, it will provide the basic value what a spring mattress is expected to deliver i.e. 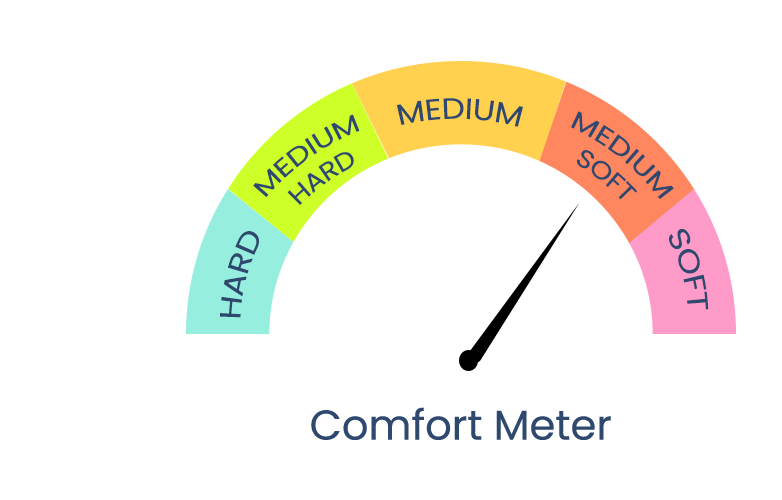 better comfort and support. 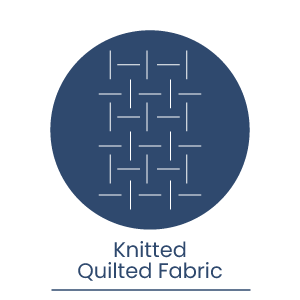 Provides Durable Support From Hundreds Of Independently Coil. 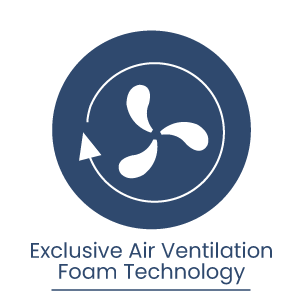 Proper Air Ventilation for Better Hygiene. 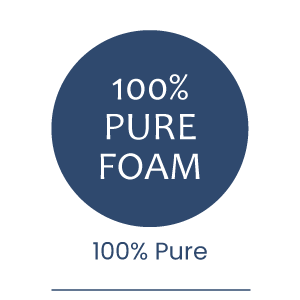 how to order for this mattress? 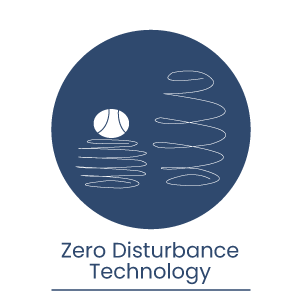 Product is absolutely fantastic. Can go for it without a second thought. 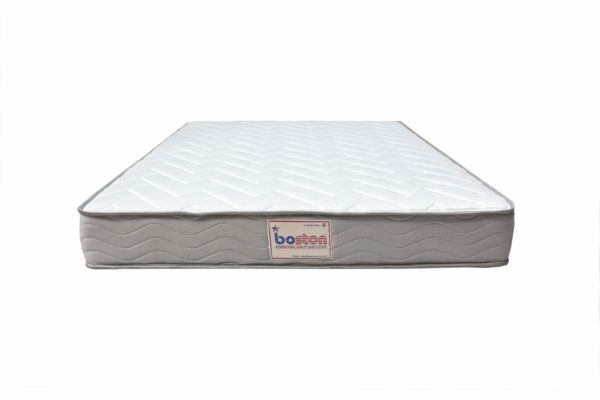 This mattress gives right support for the back and feels like heaven. The best part is it’s quite affordable relatively to many other products in the market. 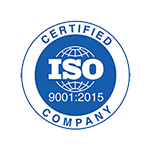 The support staff are very courteous and helpful in every possible way. 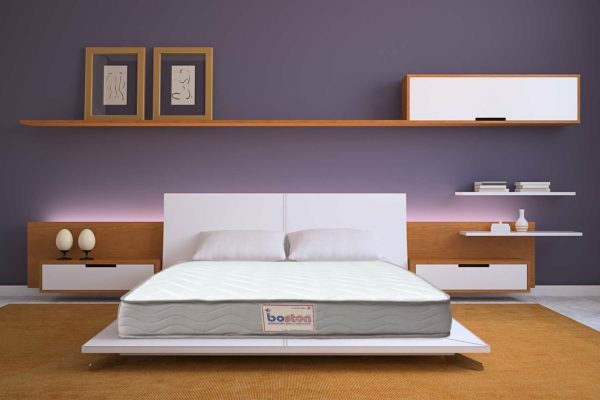 Boston mattress rocks!